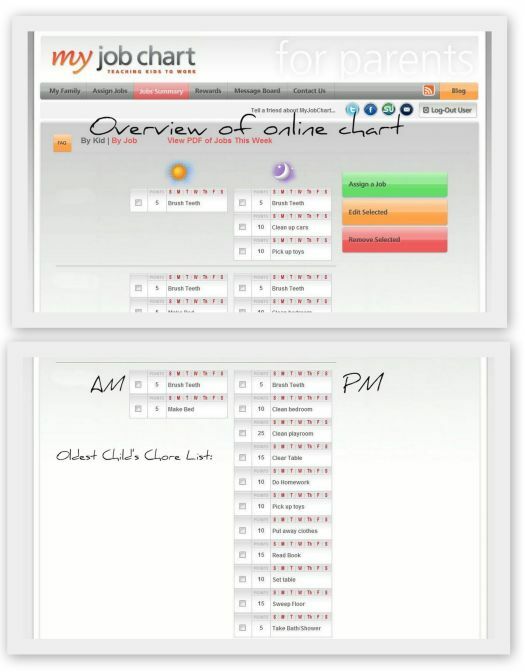 MIH Product Reviews & Giveaways: Review: My Job Chart, Great For Kids and Parents! Review: My Job Chart, Great For Kids and Parents! I was recently just introduced by MomSelect to a service that will help make things easier for me. My Job Chart is a FREE online Chore Chart that teaches kids to work in a fun and productive way. 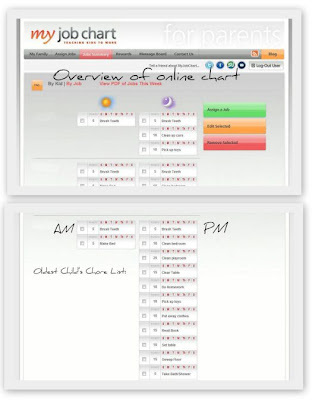 Using an easy and fun online system, My Job Chart inspires kids to do their chores on time. An interactive point system tracks your child's progress, creating excitement and enthusiasm among kids. And the fully customizable chore chart allows you and your child to decide upon mutually determined rewards, fostering communication and developing responsibility. You even get an email or text message when your kids finish their chores or they earn a reward! I will admit that I do 99% of the chores around here, it's just quicker for me to do it than to keep telling them to clean up and it gets done the way I want it. I know I have to stop that, they need to learn it themselves, besides it wears me out! I think this will help, and well incentives always work too! I am thinking little gifts from the dollar bins will work great, then maybe they can save up points for something really great! This will be a great time to enforce the job chart since we have Spring Break. I've already gone online to set things up and set each of our children up with chores I know they can accomplish. What's great about My Job Chart online, is you can set what chores needs to be done, what days to do it and also in the morning or night or both! My rule will be it has to all be done before going to bed. Then you can get the PDF file of the chart to print out for the fridge for a friendly reminder. Once the chore is done, simply go online and mark it off. Each child's point per chore will be tallied up for the end of the week. S0 if you're thinking about a chore chart for your kiddos, head over to My Job Chart and check it out, it's pretty cool! Find My Job Chart on Twitter and Facebook too! I wrote this review for "Mommy? I'm Hungry!" about My Job Chart. I received a free store gift card to keep as part of this review from MomSelect. All opinions for this review are that of myself & family.